The Simultania Project is a video-based body of work in which outside participants produced the video content by recording their subjective experiences of reality during the same one minute moment in time on November 13, 2010, at precisely 16:00 UTC/GMT. In their videos, participants time-stamped to a single time-source to ensure perfect synchronization. The video artworks consist of these hundreds of simultaneous points of view playing back together and in perfect sync. 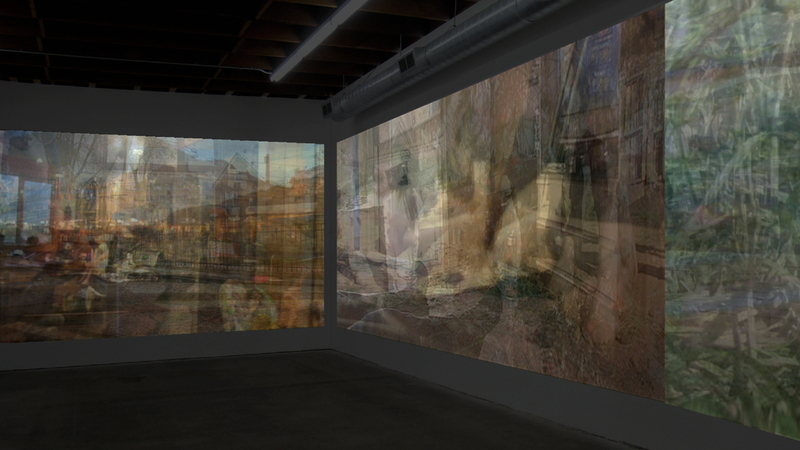 The artworks include Simultania (2011), a 1-channel video, and Simultania Project (2014-2017), a multi-channel immersive video installation with audio. Simultania Project, 2014-2017, multi-channel video installation, 60 min., loops. The Simultania Project is a video-based body of work in which outside participants produced the video content by recording their subjective experiences of reality during the same one minute moment in time on November 13, 2010, at precisely 16:00 UTC (Universal Standard Time, which coincides with Greenwich Mean Time). In their videos, the more than 200 participants time-stamped to a single time-source to ensure perfect synchronization. 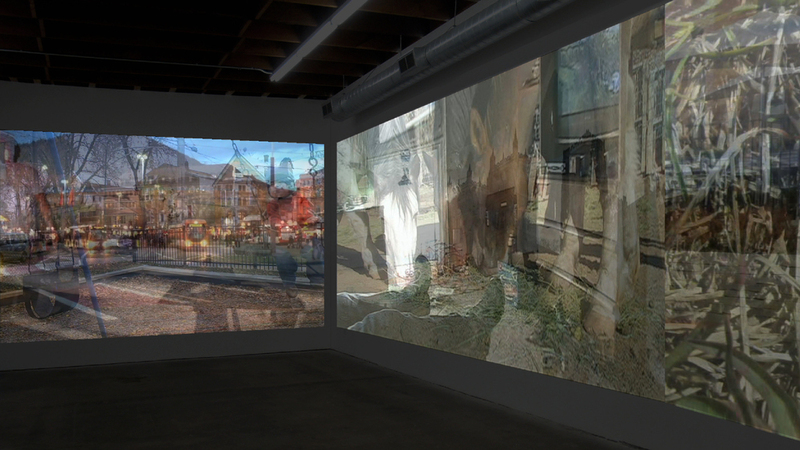 The video artworks consist of these simultaneous points of view playing back together and in perfect sync. I started work on the Simultania Project after experiencing the new technology of live webcams, which enable one to directly see phenomena occurring in places beyond one’s customary sensory horizon in real time. The experience made me aware of the disconnect that exists between how consciousness feels from within versus what we rationally know about it. From within, consciousness entails having an experience of the world that seems total and complete in our experience of it. From within, it feels fantastical to imagine that phenomena happening beyond our own sensory horizon could be as real as that which we directly experience. And yet cognitively, we of course know this to be the case. We also know that every other conscious animal alive is having an experience of consciousness which feels just as all-encompassing and central to them as our own feels to ourselves. Yet from within, this seems absurd and impossible. This is the paradox of point of view. It is my intention with Simultania to enable the viewer to viscerally experience this paradox by demonstrating the proof of other peoples’ simultaneous experiences of reality. The artwork was in many ways run like a scientific experiment. The multi-channel installation itself is built on an algorithmic system in which each of the contributed ‘point of view’ videos is treated as a piece of data for use in this conceptual demonstration. In producing the videos, I asked participants to use the camera to stand in for their experience of consciousness during this single moment in time. After a process of manually setting each of the 213 video’s start points to exactly 16:00 GMT (as per the time-stamp) and cutting each video to one minute in length, the videos were ready to be inserted into the algorithmic system, which itself consists of three methods of demonstration. The first method entails randomly placing videos into grids, so that multiple simultaneous perspectives play together and in perfect sync on each screen. The second system entails layering semi-transparent points of view atop one another, until 25 videos play together on a single picture plane, effectively forming a new abstract, aggregate point of view of the single moment in time. The third and last method entails cutting from one video to another in quick succession, effectively allowing the viewer to experience the single moment in time from a series of disparate perspectives and locations. In all three methods, the audio is limited to what was recorded by participants during the one minute moment. The installation is in 1080HD and runs across multiple channels (depending on the space), which are set up in an immersive formation around the viewer. The looping installation has a duration of 120 minutes. The Simultania Project is an exploration of consciousness, of how it feels from within versus what we discursively know of it. It's about transcending one’s normal, singular sense of being in the world for a chance to experience the 'hyper-reality' that emerges out of a multi-layered perspective. It’s meant to act as proof to an incredulous mind that reality is always occurring in places where we are not, and that other experiences of reality are taking place besides our own.